Hi loves! How are you today? Enjoyed your weekend? I had a great day at the zoo yesterday, the butterfly garden was SO pretty! 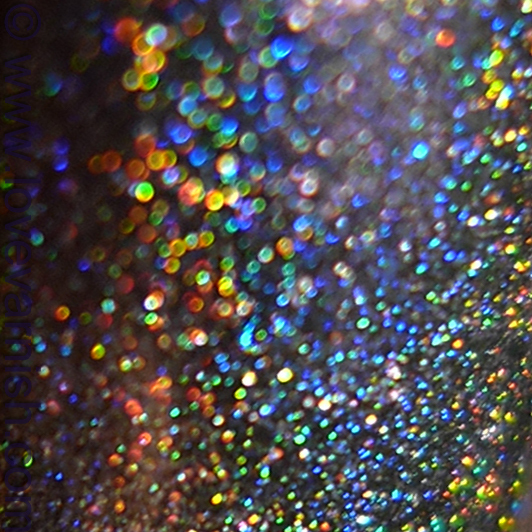 Today I have something amazing to show you - a gorgeous holographic polish! This is El Corazon Rainbow 754. When I first received it I must admit I didn't really like it. 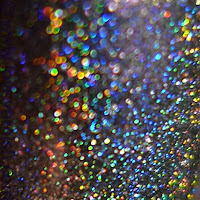 It seemed so sheer, and in the bottle it looks like a pale frosty lilac with rainbow.. Imagine my surprise when I layered it over black! Wow! These pictures show 1 coat of Wet 'n Wild Black Crème, 2 coats of El Corazon Rainbow 754 and 1 coat of Essence Better Than Gel Top Sealer. It looked SO pretty and that pale frosty lilac look turned out to be a nice duochrome finish once layered. Also, the rainbow ♥. Just look at it! And if these pictures don't look pretty enough to you - check out this little Instagram video. It is glorious. It also shows the purple flash better :-). Do you like this layering polish? Have you ever been surprised by a polish like I was? Tell me in the comments! Gorgeous!! The last pic kinda reminds me of a-England's Princess Tears. Sooo pretty! I love layering polish and am always glad when I find a hidden gem that i don't think i will like! I see what you mean! It kinda does like it :). I should have! Thanks Raquel <3. It made me drool too! I wish the brand was more easy to access for everyone, I am lucky enough to get these samples but otherwise it would be hard for me to get too. 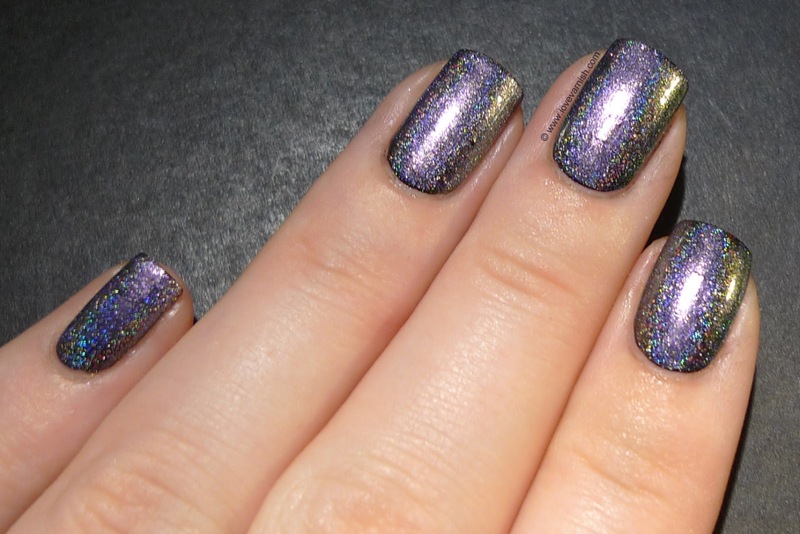 I've got a couple of sheer-sheer-sheer holo polishes, but I haven't tried any layering experiment yet. According to what I'm seeing here, I think I definitely must to! You must! It can bring out the pretty so easily :). Thanks babe! It is always worth it trying to layer :).